You’ve created your website and you have your inventory ready to ship. Now, you need a domain name for your online store. But, how do you go about selecting one? And, how do you know that the one you choose is available? Look at five tips for choosing a domain name for your new online store. Ideally, you want your domain name to say something about your store. Does your store offer products at really low prices? Does your store specialize in products made in unusual places? If you want, you can incorporate the best features of your online store into its domain name. This is just another way to introduce your store to shoppers from all walks of life. It’s a good idea to keep your domain name simple. It’s best to avoid tricky spellings and the addition of punctuation within the name. You want to end up with a domain name shoppers look at and immediately connect with your store. Most online shoppers are busy individuals who spend just a little bit of time in new online stores. Unless, of course, they see something that intrigues them. Shoppers should be able to glance at your domain name and immediately know what you’re selling. In a way, your domain name is another advertisement for your business. Choose a domain name that bears no resemblance to other stores in your industry. It’s best to avoid any risk of being confused for another store. After all, you have quality inventory priced in a reasonable way. You want to let your inventory shine and stand out from your crowd of competitors! What do you sell? If you sell pet supplies, then your domain name should bring to mind that sort of inventory. This makes it easy for shoppers to find your business in an online search. As a note, choose a domain name that doesn’t put a limit on what you sell in your store. For example, say you sell pet supplies now, but you plan to branch off into offering pet food as well. Instead of creating a domain name all about pet supplies, you may want to create a name that refers to pet essentials. This domain name encompasses a lot more than just collars, pet beds, leashes, etc. Think of all the online businesses in operation today with memorable domain names. What do they have in common? Are they easy to spell? Do they rhyme? Do they include a catchy phrase? Use this information to devise a memorable domain name for your own online store. Go with the tactics that have proven successful for other business owners! Finally, it’s important to check available domain names to see if anyone else has claimed the one you want. 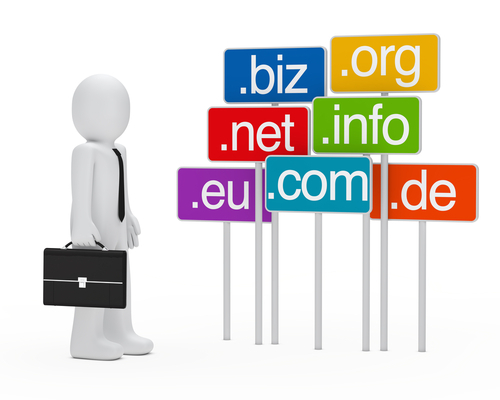 You want to register the domain name you choose so it will be exclusive to your business. If you come up with three or four domain names you like you can check each one, then decide which name appeals most to you.